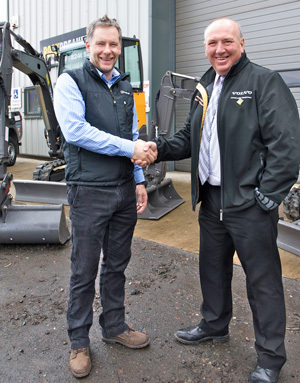 Rockbreakers UK, the West Lothian hydraulic hammer and attachment specialist, has moved into the machine business with its appointment as a dealer for Volvo’s utility equipment. Jason Easton (left) and Charlie Flaws seal the deal. Jason Easton, Rockbreakers’ managing director, described the franchise – for central and southern Scotland – ­as “a logical extension” of the portfolio. The Bo’ness company takes on responsibility for sales and after-market support for the full portfolio of Volvo utility equipment in Fife, Argyll, the Central Belt and the Scottish Borders. 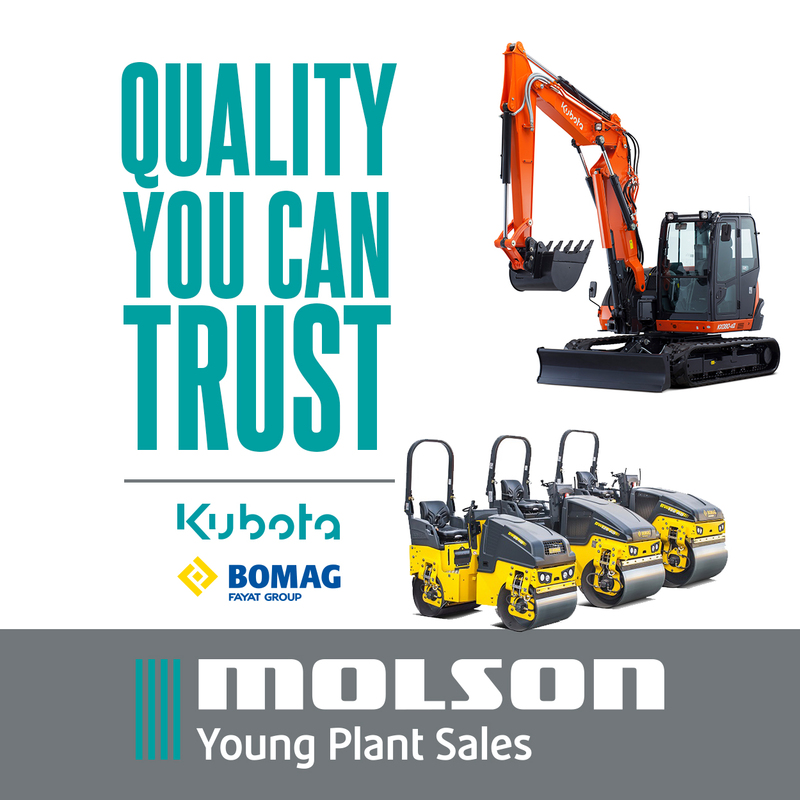 “Up until now our core business has been the sales, hire and repair of a whole range of hydraulic attachments including munchers, hammers, shears, magnets and associated equipment for the plant industry in Scotland,” Easton said. Volvo’s utility range includes compact excavators from 1.5 to 8.8 tonnes, compact wheeled loaders up to 1.0m³ capacity, and tandem rollers. It will be supported by Volvo’s regional customer support centre in Stirling. Rockbreakers UK was established by Easton 10 years ago. 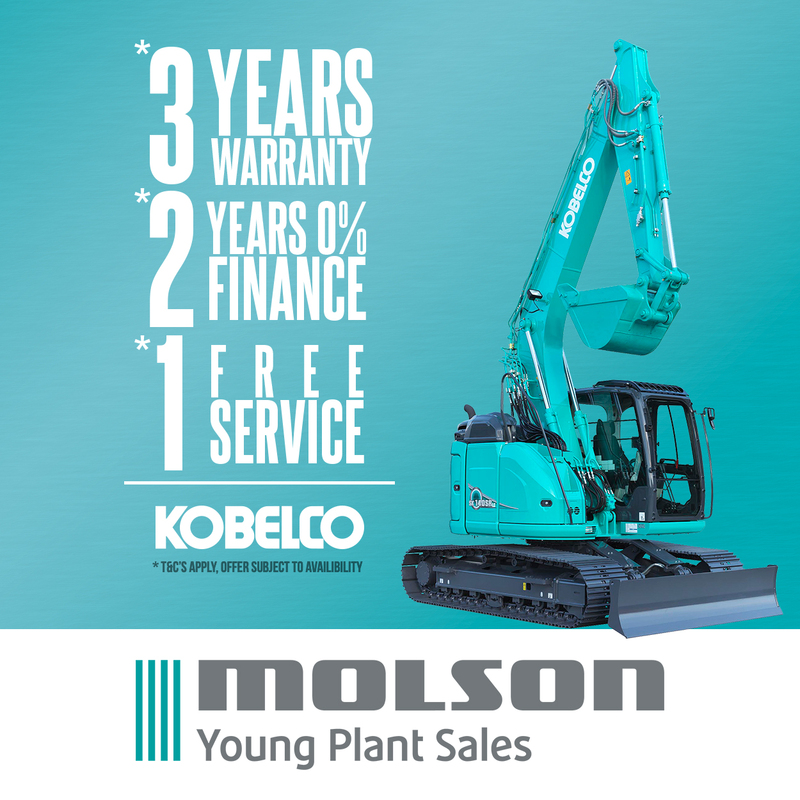 It is an authorised distributor for Atlas Copco heavy hydraulic attachments and is also involved in hire, sales and repair for other brands of excavator attachments.